Exercising in water can help the body in several ways, including strength, resistance, speed, coordination, balance and agility. It has also been shown to reduce stress levels and help delay the aging process. People of any age and fitness level can undertake water therapy, thanks to the buoyancy effect which facilitates movement and is gentle on the joints, reducing the risk of injury. Let our experiencde physiotherapists lead you to pain relief and good health through this superb curative therapy. Our Hydrotherapy section will enable you to enjoy authentic mud therapies, therapeutic pools with hydro-massage, physiotherapy, traditional massages, steam baths, Thermal Grotta and several areas of relaxation surrounded by a beautiful garden. Enjoy the benefits of kinetic therapy in our hot thermal water. The force of resistance and hydrostatic pressure in an environment of total relaxation helps achieve better results, making it easier for patients to accomplish movements that would be more difficult outside the water. 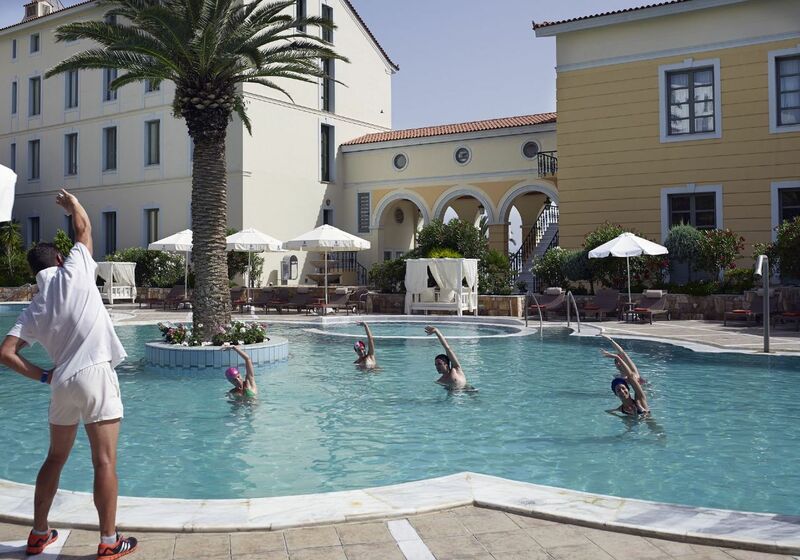 Combine the relaxed atmosphere of the swimming pool with sports activity. In the water, the body weighs only a third of what it does in reality, making it easier to exercise and achieve health benefits.